Dragongate: Branding. A nasty jab at Uncle Stephen. Branding. 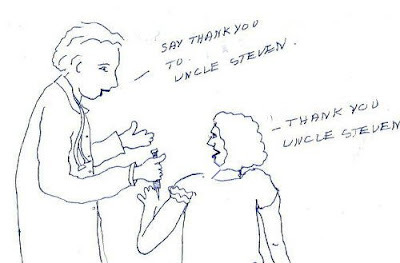 A nasty jab at Uncle Stephen. The 'new' Canadian government has taken to branding itself 'The Harper Government' after our prime minister Stephen Harper and identifying our tax money being returned in services as rather his and his party`s gift to us. This is all very 1984 -ish (as in Orwell`s novel of that name) and I have surmised that the distribution of the H1 N1 flu vacine will continue the tradition. War crimes and other atrocities. Building a life # 6. The feral cats of Cat Hill. Building a life#5 Getting started. Building a life #4. A moving experience. Making history at the Ganges Dock.